Matt Warman, MP for Boston and Skegness, has led local bodies and authorities in calling to extend the season in Skegness over the Christmas period. 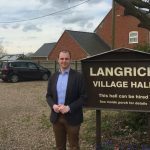 Along with Lincolnshire County Council, East Lindsey District Council and local businesses, Matt would like to see to see more caravan parks opening for longer, for instance, to allow caravan owners to enjoy the Christmas season. 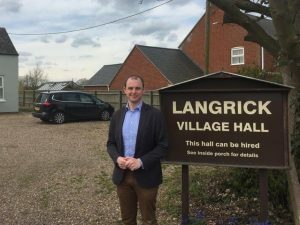 Considering a longer season was an East Lindsey District Council Conservative manifesto commitment, and costal economic growth is central to Lincolnshire County Council’s future plans, so there is much political will behind the proposals. Businesses would also see the economic benefits of extending the season, which would provide a boost to the local economy and local jobs. Matt, the local councils, the Environment Agency and businesses had planned to discuss the next steps in extending the season in mid-December, but the Cumbrian floods meant that key Environment Agency personnel from Lincolnshire were called upon to help with the relief efforts in the North West. That meeting will now take place in the new year.